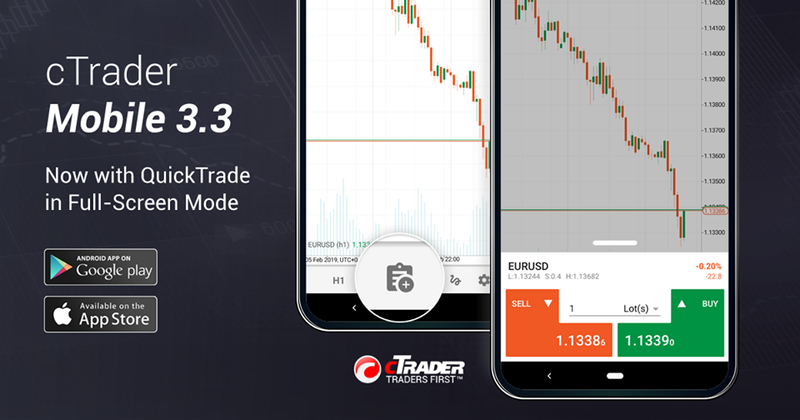 Spotware has just announced the release of cTrader Mobile version 3.3. This update allows traders to create orders directly from the full-screen mode of the charts. This new feature is sure to be very practical as it allows you to trade and analyze the markets from the same screen. How to find and use the new feature. Now, when the chart is open in full-screen mode you can click the “New Order” icon and the “SELL”/”BUY” buttons showing the live bid and ask prices will appear with the volume selector in the centre. 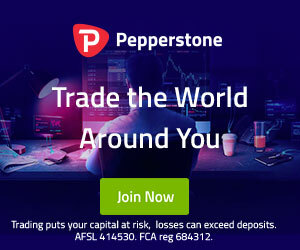 Orders created from here can have your market range, take profit and stop loss quick trade settings applied if you’ve already them set up. To use this new feature you need to have Single-tap mode enabled. If you want to find a cTrader broker you can count on, check our list of brokers!